Archie Comics have been publishing Sonic comics for donkeys years now and are well know among fans for their unique takes on classic Sonic game story lines. The recently released, 100-page Sonic Super Special #3 continues the trend by containing, among other stories, a Sonic the Hedgehog 4: Episode II prequel, taking off directly from the end of Sonic the Hedgehog 4: Episode I. Eager to feast your eyes on the story now? Well you’re in luck as IGN is hosting a preview of the story as well as a preview of Sonic Select #5, a compilation issue collecting stories from previous Sonic Super Specials. 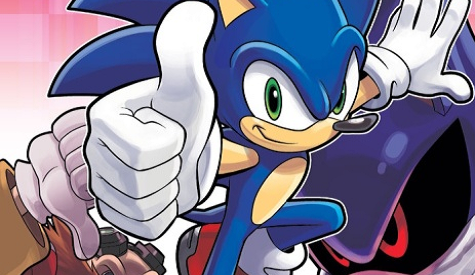 Are you already an Archie-Sonic fan, or are you testing the waters for the first time with the preview? Either way, let us know what you think in the comments below. Here, have some tasty release dates! Israeli arcades are exactly the same as ours, who would have thunk it?